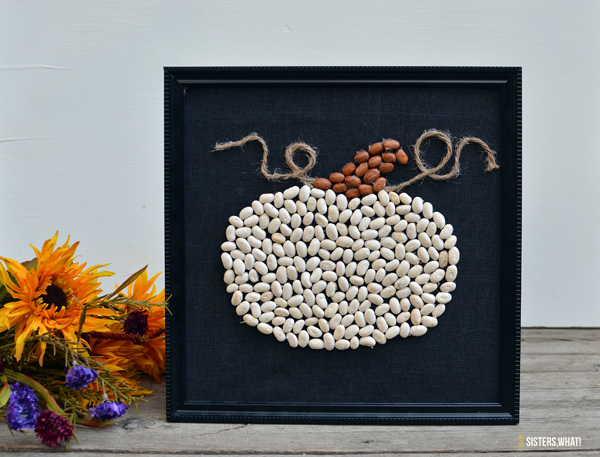 ' Framed White Bean Pumpkin Picture - Sisters, What! About a week ago, a friend of mine decided to have a little fall crafty party. She picked two easy crafts that we could do, and then everyone brought their own crafty supplies for their chosen craft. One of the crafts was these cute button pumpkin pictures (see example HERE). I was planning on doing it like the picture, but then last week I saw Amy's (from Delineate Your Dwelling) bean pumpkin and had the idea of using beans instead of buttons. When I told my husband my brilliant idea, he just looked at me and said "you know how I feel about decorating with food." Actually I have no idea, but I guess I do now;. I must have subconciously ignored past comments. However, after I came home, he actually said it turned out much better than he imagined. It was really fun to make and the best part was the beans were in my pantry. Also the back drop was from an old skirt I cut up along time ago to use for something else. Thus, this project felt very much a Portlandia project. I guess Portland is rubbing off on me?? ||For the back drop, use what ever material you like and glue it to the back of your frame cardboard piece. || Find a pumpkin outline on line and cut it out. Then trace it onto your fabric. || Once you have your outline start hot glueing those beans on. Add some twine for the vine part and your done. I really love the simplicity of this decoration. And bonus points: it can stay up until Thanksgiving. I'm of the opinion that can stay up for as long as needed. 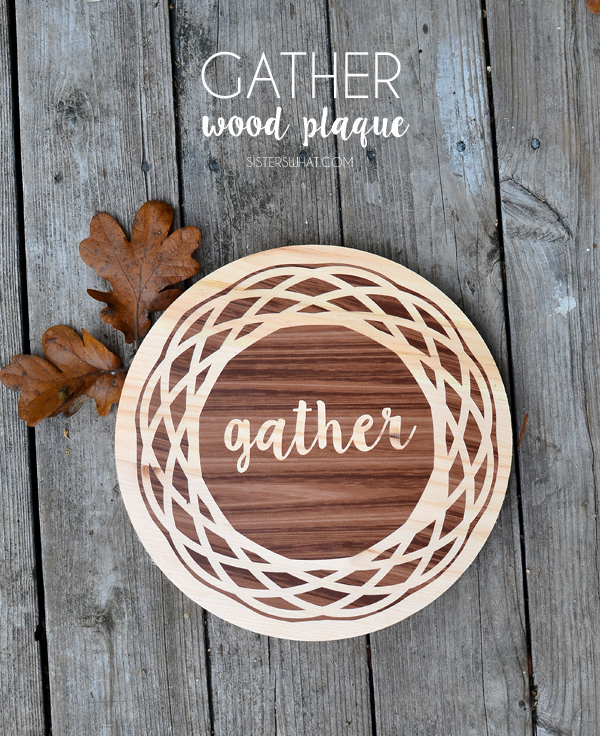 Fair warning: I want to copy your crafting party idea. seriously it was such a good idea and so much fun! May have to try this myself. This reminds me of projects we used to make when I was younger, beans and pasta were big back then. This is so VERY cute! I am stopping by from Craft Frenzy Friday where I am linked up too with my Free Pintable - Say Boo Scare On project. thanks Antonella, Love your printable! 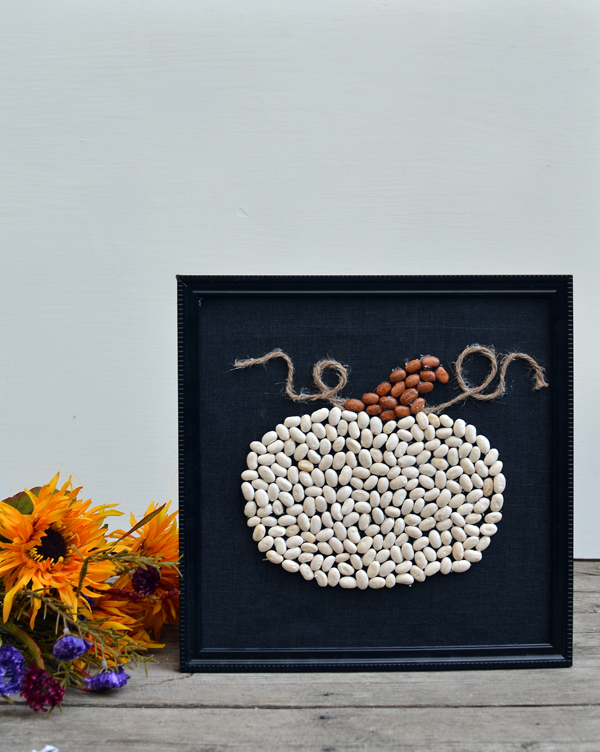 Great use of beans for fall! I don't think you did a bad thing decorating with food :) You came up with a fantastic idea Havalah. Thanks so much for sharing it at our party! 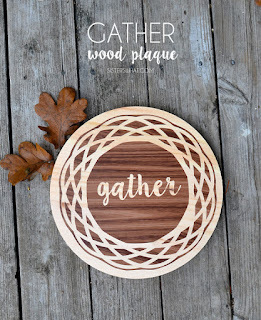 Very cute - I like that it's unique, easy to make from things you already have around the house. Great idea! Smart & chic idea! Low cost & easy! So cute!! Just pinned! What a clever idea!! It turned out so cute. 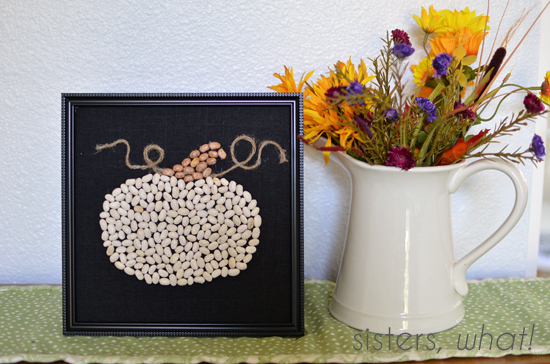 I love the neutral color from the beans and string next to the black frame. Super cute!! This is soooo cute, Havalah! We've featured it at Your Turn To Shine this week :) Thanks for sharing it with us! I just clicked on this project from my link party cuz it's awesome and then was like, oh how cool... she mentioned my bean pumpkin in it! Ha. Thanks friend.